Learn what to consider when evaluating your B2B integration architecture and strategy. Learn which capabilities are critical for overcoming today's B2B integration challenges and supporting future growth. 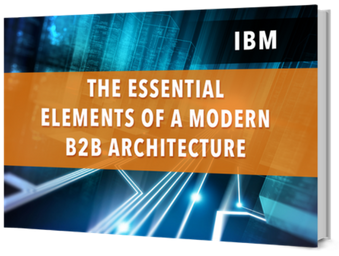 If you're evaluating options for modernizing your organization's B2B architecture, you may have many questions on your mind. For example, which capabilities are most critical to put in place now? What are the important considerations for your B2B strategy going forward? What solutions are available to help you? Supporting a mix of cloud and on-premise deployment options. Please complete the form on this page to view this ebook, compliments of Lightwell and our partner, IBM.